TATE BYWATER is proud to announce the addition of an immigration practice to the firm’s full suite of services. For many years, clients have asked us to handle their immigration case and we are now excited to be able to do so. As an introduction to the practice area, here is a brief overview of the United States immigration system. Almost all United States citizens are descendants of immigrants and many are first or second generation immigrants from all over the world. Early in our nation’s history, immigration was not restricted. In fact, it wasn’t until 1875 that the first laws restricting immigration were enacted. As the nation has grown and times have changed so too have our immigration laws. 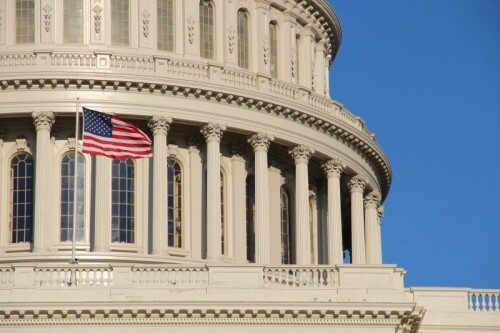 Today, the Immigration and Nationality Act of 1952 (“INA”), with all its amendments, reforms, and additional piecemeal legislation targeted for certain immigrant classes, make-up the current system. The INA created a structure for quotas, preferences, deportation and relief from deportation. An individual desiring to come to the United State must first obtain a visa, of which there are two types: immigrant and non-immigrant. The distinction between immigrant and non-immigrant visas, is virtually self- explanatory: a person admitted to the United States on a non-immigrant visa must have an intention to stay here only temporarily. Non-immigrant visas include: tourist and business visitor visas (B), student (F, M), exchange visitor (J), and trader & investor (E). Additionally, temporary worker visas are broken down into: persons in specialty occupations (H-1B), citizens or nationals of designated countries (H-2), and trainee or special education visitor (H-3). Visas are available for intracompany transferees (L), individuals with extraordinary ability (O), athletes, artists and entertainers (P), and participants in international cultural exchange program (Q). Other types of visas include visas for religious workers (R), members of the media (I), Diplomats and International Organization (A, G, NATO, C), Transit, Crewmen and NATO Family, (C, D, N). More common visas include family-related visas for fiancées (K-1), spouses of U.S. citizens (K-3) and children or spouses of permanent residents (V), as well as visas for individuals assisting law enforcement (S, T, U). Non-immigrant visas typically have no numerical restriction and generally do not allow for adjustment of status to permanent residence, though some do. Immigrant visas are mostly limited to numerical caps per year. Once the visa is available, however, the person may adjust status and become a permanent resident. Immediate relatives of U.S. citizens are eligible for immigrant visas which are not subject to the numerical cap, and therefore immediately available. Immediate relatives include spouses, unmarried children under age 21, and parents of children over age 21. Other relatives, such as siblings, unmarried children over age 21, married children of U.S. citizens and family members of permanent residents may also be eligible for green cards but must wait for a visa to become available. Employment-based visas are subject to preference categories and are also capped numerically. First preference is given to persons with extraordinary ability, second preference to professionals with advanced degrees, third preference to professionals and skilled workers, fourth preference to special immigrants and fifth preference to investors. Regardless of the type of visa an immigrant seeks, the individual must meet certain standards to be admissible. Beyond those mentioned here, there are other programs by which non-citizens may enter the United States or adjust to permanent residence status including NAFTA provisions, special immigrant status, and Violence Against Women Act. The most significant consequence of breaking the nation’s immigration laws is that of removal from the United States. Removal and inadmissibility are typically founded on the same basis. Persons who are a threat to the nation’s security, who have committed crimes involving moral turpitude, who have committed drug-related crimes, who have committed serious crimes, who have violated the immigration laws, who have committed fraud to obtain an immigration benefit, or who have certain diseases that would be a danger to the public, are all inadmissible and likely subject to loss of any immigrant visa or status previously granted. A person who enters the United States illegally, who loses their status for any of the reasons previously mentioned, or who overstays a visa, may be apprehended by Immigration and Customs Enforcement (ICE) and may be subject to mandatory detention and/or removal proceedings. All non-citizens are subject to possible removal proceedings. An individual facing removal proceedings may hire an attorney at their own cost and present applications and evidence to the Immigration Judge to prevent their removal. There are provisions in the INA allowing for some non-citizens to avoid removal. The following are available with a brief summary of the requirements. Adjustment of Status allows a non-citizen who is eligible to become a legal permanent resident through an approved petition by family. The removal hearing is put on hold until such time as the non-resident’s application is processed. Asylum may be sought by individuals having a legitimate fear of persecution in the individual’s home country and based on the individual’s membership in a particular protected class. Cancellation of Removal is a type of relief only available to individuals in removal proceedings which requires an individual to have been continuous physical presence in the United States for at least 10 years, be a person of good moral character, and show that removal of the individual would cause extreme hardship to a United States citizen. Deferred Action allows an individual to live and work in the United State for a period of time during which the Department of Homeland Security elects not to remove the individual, though they may do so in the future or if the individual acts in a way to make themselves ineligible. This is a type of Prosecutorial Discretion available for individuals in removal proceedings. However, this type of relief is available to individuals not in removal proceedings. Note: DACA applications which are not approved do not get referred to ICE for removal proceedings. Voluntary Departure allows an individual a limited amount of time to stay within the United States but must at their own cost leave by a date certain and is barred from returning. This type of relief is discretionary and requires and individual to not be a threat to the public or national security. The individual may return after a certain time with a valid immigrant visa. Waivers allow an individual to obtain relief they would otherwise be ineligible for. A waiver “pardons” the act that made the individual ineligible for relief so that the individual can now apply for the other types of relief mentioned here. 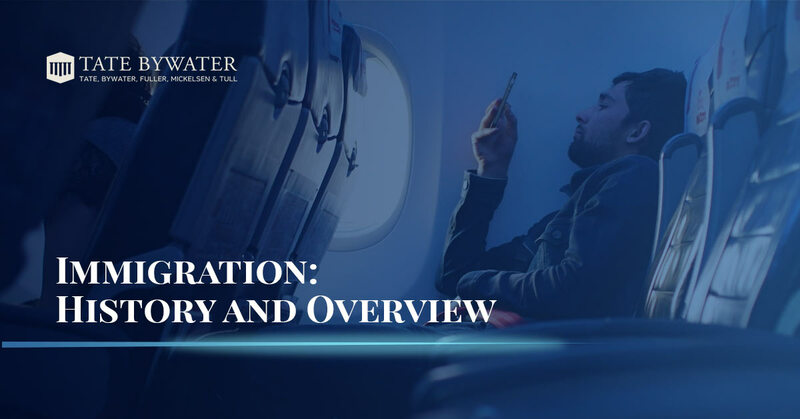 This very brief overview does not cover all of the provisions, procedures, and nuances of the complex immigration system currently in place. However, it may help provide a starting point from which to discuss your case with an immigration attorney. TATE BYWATER has the experience to assist you. Contact us to schedule a consultation to discuss your case.